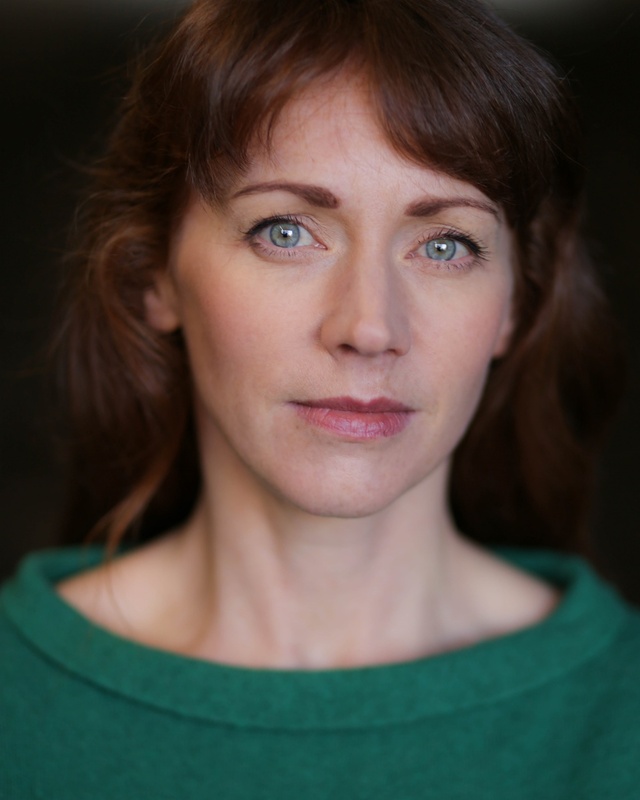 Lucianne plays Ruth Davenport in the remount of David Ireland’s ULSTER AMERICAN directed by Gareth Nicholls for Traverse Theatre. Winner of the Carol Tambor Best of Edinburgh Award as well as a Scotsman Fringe First and the most talked-about show of the Edinburgh Festival Fringe 2018, Ulster American returns to the Traverse for a limited run. Ulster American will go on to perform at Adelaide Festival, Auckland Arts Festival and return to Europe, playing at the Abbey Theatre, Dublin and Lyric Theatre, Belfast. More recently, Lucianne played the title role in MACBETH directed by Dominic Hill at Citizens Theatre. Recent credits include Corcadorca’s THE NUMBERED directed by Pat Kiernan as part of the Cork Midsummer Festival 2018 and David Ireland’s new play ULSTER AMERICAN (winner – Fringe First Awards) directed by Gareth Nicholls as part of Traverse Festival 2018. Ulster American received many 5 star reviews and sell-out performances during its run. The show will be revived Spring 2019, performing in Edinburgh before going on a tour of Australia and New Zealand. Further recent stage credits include Marie in Rona Munro’s BOLD GIRLS directed by Richard Baron at Citizens Theatre, Glasgow, Frances Poet’s WHAT PUT THE BLOOD directed by Graham McLaren at the Abbey Theatre and Siobhan in THE CURIOUS INCIDENT OF THE DOG IN THE NIGHT-TIME, the National Theatre’s highly acclaimed production based on Mark Haddon’s award-winning novel, directed by Marianne Elliot and Kim Pearce. Other theatre appearances include the role of Valerie in Conor McPherson’s THE WEIR directed by Amanda Gaughan and JUMPY directed by Cora Bissett at Edinburgh Lyceum, DANCE OF DEATH directed by Candice Edmunds for Citizens Theatre and SACRIFICE AT EASTER directed by Pat Kiernan as part of the Cork Midsummer Festival 2016. Lucianne was nominated Best Actress at the Dublin Theatre Festival 1999 for her performance of Anna in Frank McGuinness’ DOLLY WEST’S KITCHEN directed by Patrick Mason at the Abbey Theatre. National Theatre of Scotland credits include the role of Christine in A DOLL’S HOUSE, Woman in INSTRUCTIONS OF A BUTTERFLY COLLECTOR both directed by Graham McLaren and Helen in THE MAKING OF US directed by Graham Eatough. Previous stage appearances include Brian Friel’s LOVERS, the role of Hermonie in ANDROMAQUE (Oran Mor), MARCH OF WOMEN, HORIZONTAL COLLABORATION (Fire Exit/Traverse Theatre), THE LIBERTINE directed by Dominic Hill for Citizens Theatre, LEAVING PLANET EARTH, WOYZECK (Corcadorca), THE LADIES CAGE directed by John Terry, FESTEN (Birmingham Rep & Tour), RIDERS TO THE SEA directed by Conall Morrison (Abbey Theatre), BLOOD AND ICE (Edinburgh Lyceum), THE THEBANS (Theatre Babel), THE BOY WHO FELL INTO A BOOK (ETT), HINTERLAND directed by Max Stafford-Clark (National Theatre/Out of Joint), TRANSLATIONS directed by Ben Barnes at the Abbey Theatre and MUTABILITIE directed by Michael Barker-Caven at the Samuel Beckett Centre, Dublin. On screen, Lucianne played series regular Tara in TV mini-series NY-LON directed by Otto Bathurst for Channel 4. Other film and television appearances include IN AMERICA directed by Jim Sheridan for Harlem Film Production, A FAMILY AFFAIR for UCD and the role of Mary in THE PEAR BOTTLE for Igloo Productions.